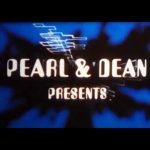 We live in a time where all UK television signals are broadcast digitally, rather than with the high-potential-for-static-interference analogue signals of old. 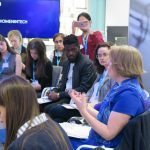 While television has made the big leap into the 21st century, digital radio is still lagging behind it’s century-old predecessor. 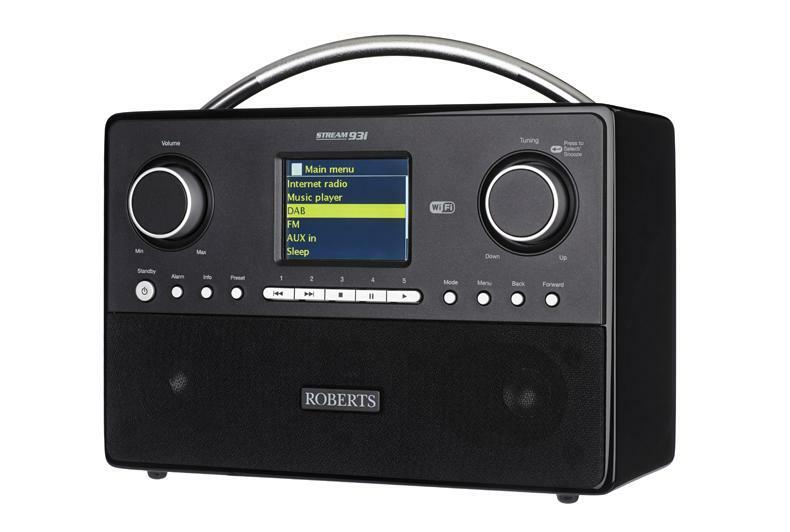 So instead of managing with FM and AM signals, you should probably upgrade and get yourself a brand spanking new digital radio ready for the inevitable day when the analogue signals get switched off. A lot of smartphones comes with FM radios built in, but for some reason they haven’t quite got onto the idea of digital radio just yet. So if you want to listen to digital radio on the go you have to buy a second device, annoyingly. 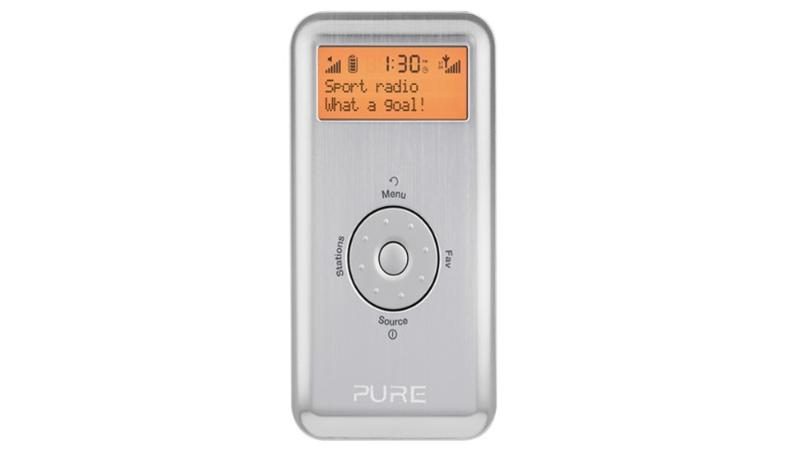 The Pure Move 2500 is a digital radio roughly the same size as an MP3 player, which makes it ideal for carrying around to listen to on the go. 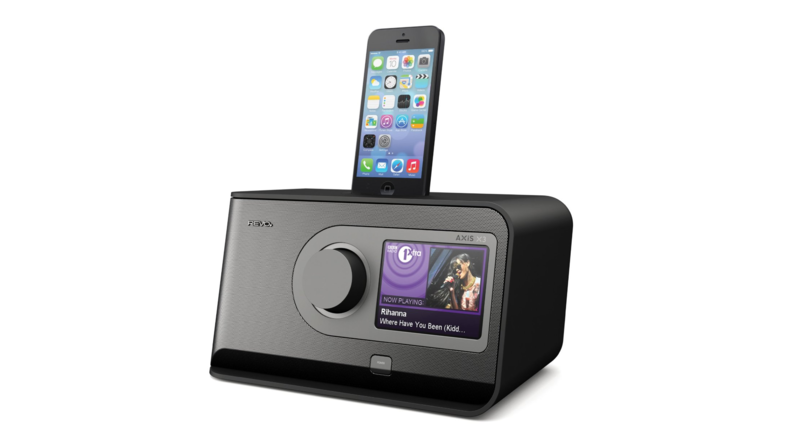 It’s got 14 hours of battery life, and can store up to 10 digital and 10 FM stations at any given time. Plus you can control the bass and the treble levels to get your ideal sound quality. If you’re looking for something on the cheap then you can’t go wrong with this. 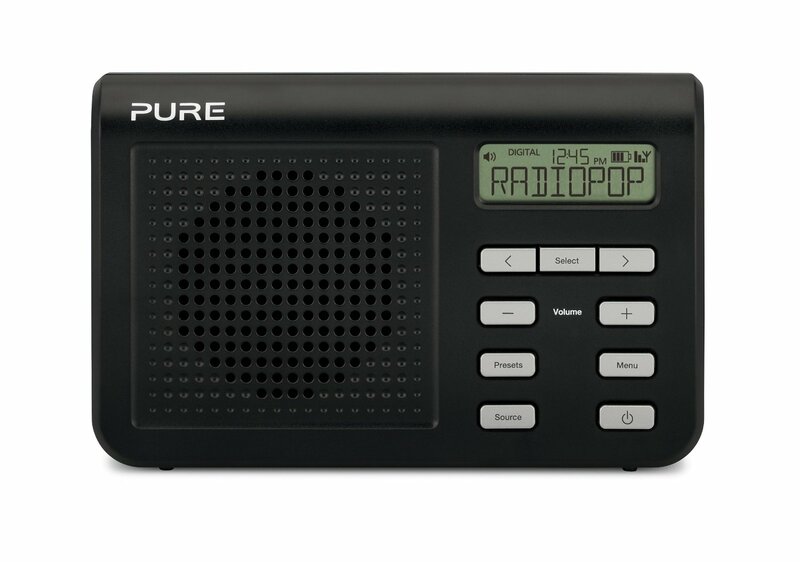 For a mere £35 you get yourself a hand-sized digital radio with the option to store 16 stations (eight digital, eight FM), and has a scrolling LCD screen to show you what’s going on. It’s not going to offer you the best quality audio in the world, but it’s enough to keep you going. Plus you can always purchase an extra battery pack to give it a bit of extra juice. 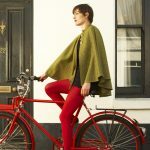 It’s all well and good having a digital radio at home, but what if you want one you can take wherever you go? Yes you could get yourself a pocket version, but if you want the feel of a home radio system without having it locked to one place then you might want this one. The XS DAB unfolds out of a handy hard case that will keep it nice and safe in transit. 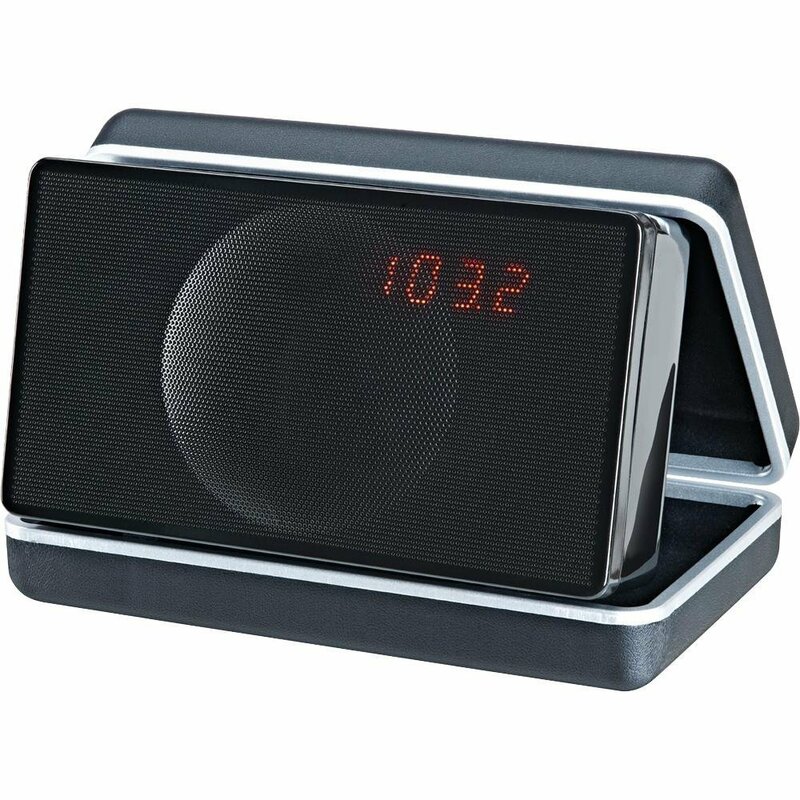 It also acts as an FM radio, an alarm clock, and has Bluetooth for wireless streaming from a different device. So you want a radio, but you don’t really have any counter or desk space to keep it on. How about you buy a radio that is its own counter? 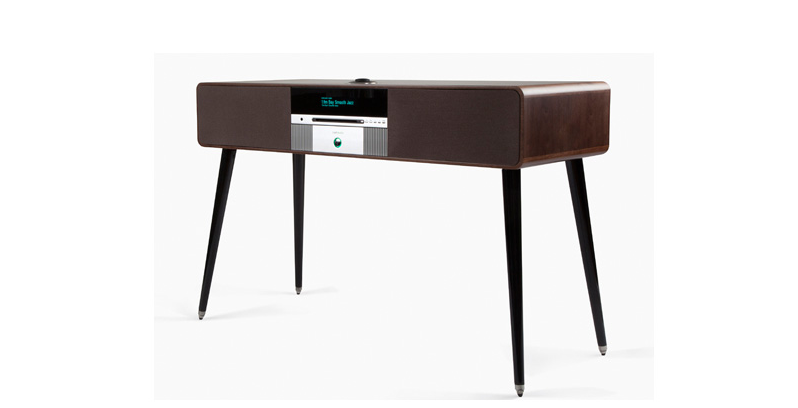 The R7 is just that, it is a table that has a digital radio built in. Of course this means it takes up a lot more space than a regular digital radio, but you can’t stick a radio in the middle of the floor all by itself and the R7 does have that advantage. That’s not all, it also has a built-in FM radio, Bluetooth streaming, internet radio capability, and even a CD player so that you can still listen to your older collections. All it doesn’t have is a record player, but you could easily stick one on top. Plenty of digital radios offer Bluetooth, that’s a given at this point, but you may want something with a little bit of class that’s easy to use. Available in black or white with a body made from wood, the D4 with Bluetooth would be a great addition to your counter just from the way it looks. 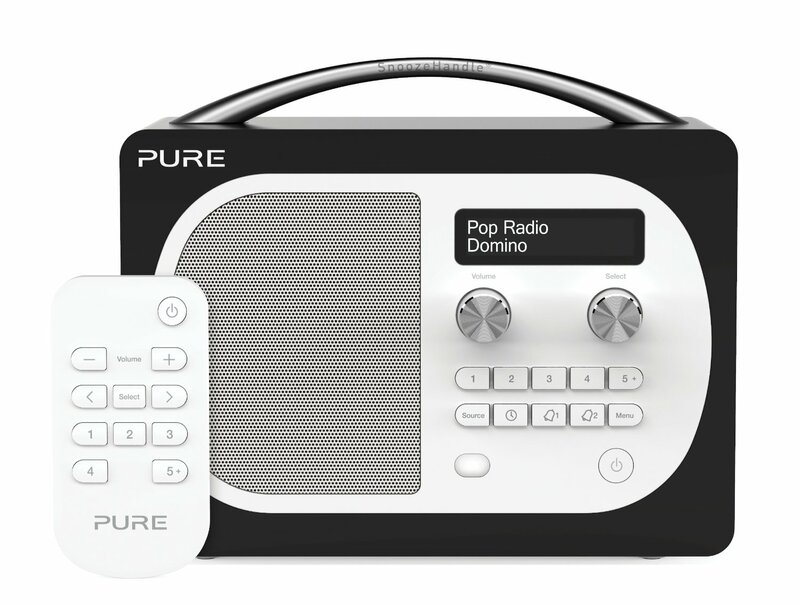 That’s not all, though, because it is a digital radio that plays music from your external devices via Bluetooth and via a physical connection, and comes with its own little remote controls with customisable ‘quick access’ buttons. In an ideal world you’d be streaming your music and using the same device as a remote control, but at least this way you can set it up the way you like. It also functions as an alarm clock, which also includes the handy little feature of a touch-sensitive snooze handle that lets you lie in without having to fumble around for the right button. The clock radio is something you might not want to spent a massive amount on. It is, after all, primarily there to wake you up in the morning and get you out of bed. It doesn’t have to complicated, just as long as it gets the job done. The Siesta has a built in digital and FM radio, along with a nice big clock-face and three different alarm settings. It doesn’t offer you the fancy bonuses like Bluetooth or wi-fi, but that’s not what you really need because it’s not really a radio that you’ll actively sit down and listen to. When you think about it like that, the less filler features there are the cheaper the device is going to be. A lot of digital radios in this list have things like Bluetooth, wi-fi, and internet radio streaming, but what sets the 93i apart is how it does those things. For starters you don’t need a remote control, because you can download the official app that lets you control the radio from any Android or iOS smart-device. The main thing is the sound quality, this has a three-way speaker system that has bass built in, so if you’re a big fan of bassy music then you’re onto a winner here. It’s got 120 pre-set stations, can connect to your existing music player to play what you already have, and perhaps best of all you can actually plug it into the internet via ethernet so you don’t need to worry about the possibility of shoddy wi-fi signals. Oh and if you have a Spotify Premium account you can play your playlists here. Plenty of radios come with docks for an iPod or an iPhone, but you want something special don’t you? The AXiS X3 is great because it’s relatively minimalistic. Instead of something covered in buttons and dials you have a radio that has one single dial, a power button, and a colour touchscreen display that gives you control of everything that’s going on and shows off exactly what’s happening at any given time. It’s got wi-fi, Bluetooth, and you can easily slot your iPhone/iPod into place to get things going. Of course the main place we all listen to the radio is, of course, in the car. 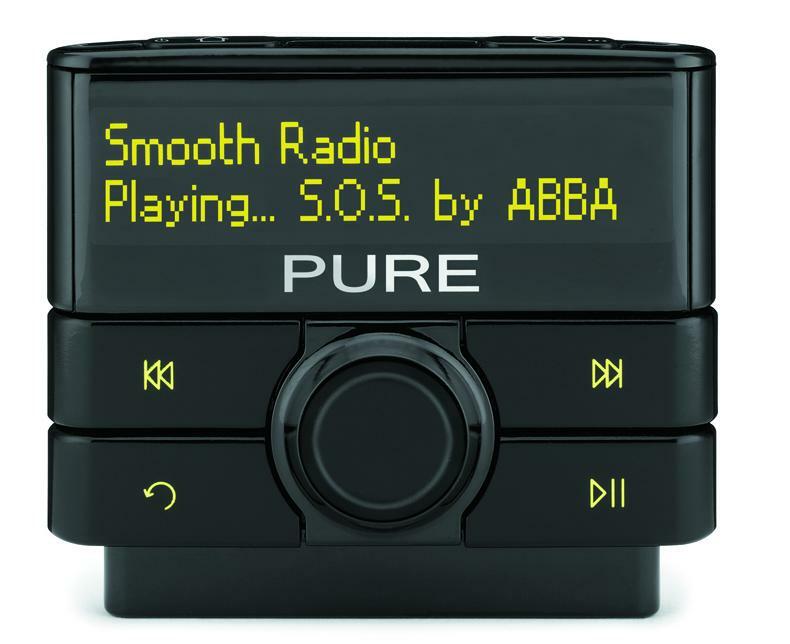 It’s all well and good having digital radios in the home if we’re still going to use analogue when we’re out and about, so why not give your car a bit of an upgrade? This is specifically designed for cars that do not have a digital radio already installed and comes with three components: The main unit which is wired into your stereo, a windscreen-based antennae, and a controller. 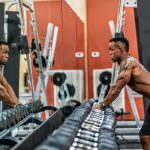 It’s not a simple task to install, however, and you should leave it to a professional if you aren’t sure of what you’re doing. The best bit is that as well as now being able to listen to digital tuns in the car, the 300DI also comes with ports for iPods, USB devices, and 3.5mm audio, so you can still listen to your own playlists if the radio isn’t to your liking that day. Any good sound system needs a hi-fi at its centre, so why not kill two birds with one stone and get yourself a hi-fi with a built in digital radio? For a radio this price is incredibly high, but for a hi-fi it’s actually not that bad. Not only will it do all the things a hi-fi does, the UnitiQute will also audio from the internet at a rate of 32 bit/192KHz, so f your connection handle it you have the potential to listen to some pretty high quality stuff. 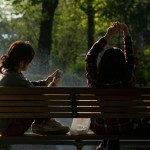 It can also be used to play music from your computer, music from a USB sticks, MP3 players, and internet radio. This pretty much replaces your old hi-fi system, the iPod dock, and has a digital radio thrown into the mix. Yes it’s not exactly throwaway money to buy it, but it’s definitely one for audiophiles.